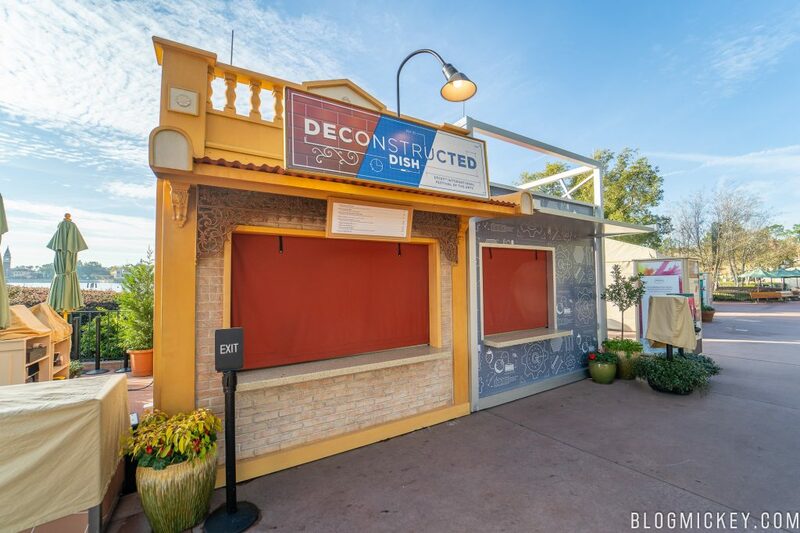 Welcome to a review of The Deconstructed Dish Food Studio at the 2019 Epcot International Festival of the Arts. The Deconstructed Dish debuted in 2017 and is described by Disney as Familiar foods with a creative twist. The Deconstructed Dish Food Studio is located in Showcase Plaza, near Refreshment Port. This review will cover the items available for purchase during the 2019 Epcot International Festival of the Arts which runs daily from January 18, 2019 to February 25, 2019. Just like all items at the booth, the Deconstructed Reuben comes served…deconstructed. 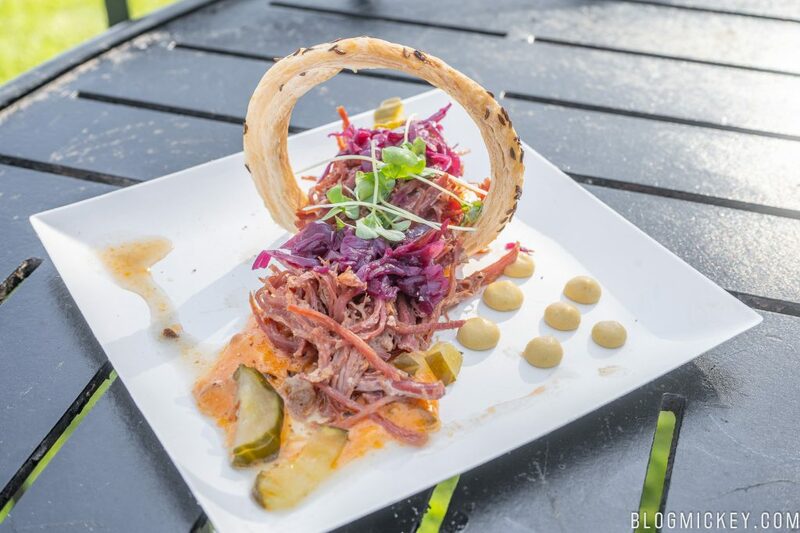 You’ll find shredded corn beef, thousand island dressing, pickled red cabbage, and rye curl all presented wonderfully. 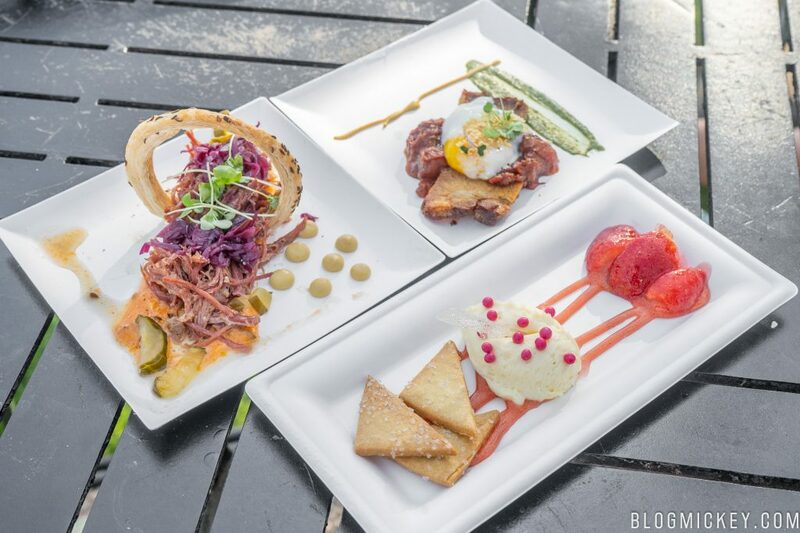 One of the ongoing themes of the Festival of the Arts is that yes, you’ll pay more for a dish than you might at other Epcot festivals, but the presentation and food quality is consistently the best of all of the festivals. Ok, on to the taste. Keeping with the theme of good quality ingredients, we find that the corn beef was fresh as was the pickled red cabbage. The portion size was good for the money tendered and whole plate sat in a good amount of sauce, which gave the corned beef a properly saturated mouthfeel. Everything worked really well not only on its own, but even better when “reconstructed”. While the rye curl added to the beauty of the dish, it didn’t do too much in terms of flavor. That said, it didn’t need to add anything to an already enjoyable dish. We would recommend this dish. 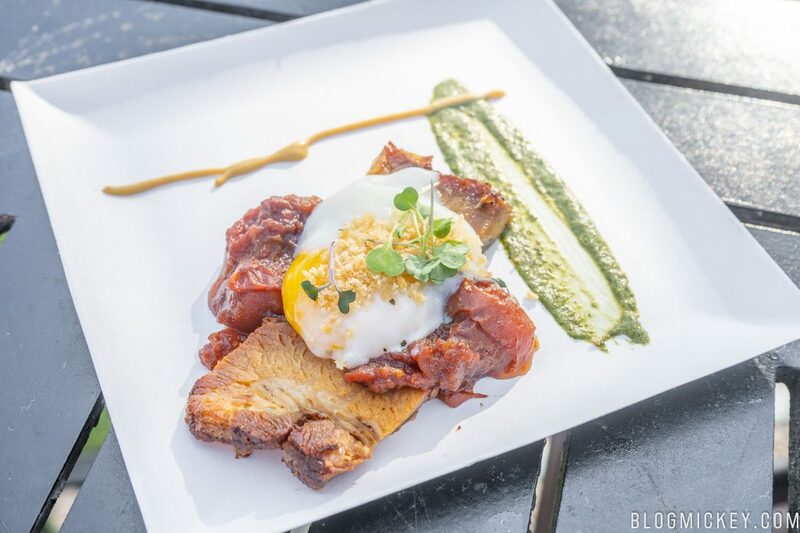 The Deconstructed BLT contains a crispy pork belly, tomato jam, and soft-poached egg. Another fun deconstructed dish finds a soft-poached egg as the star here. The second you start to interact with the dish, the egg will spill over the crispy pork belly and tomato jam. We ended up not liking this offering simply because the pork belly was more chewy than crispy. If prepared properly, this can be a good dish, but we ultimately can’t recommend it in the way it was served to us. 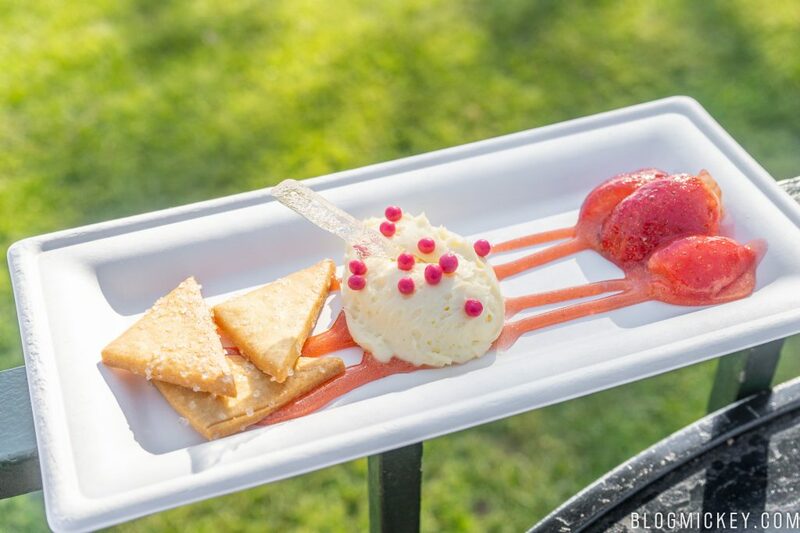 The Deconstructed Strawberry Cheesecake contains whipped New York-style cheesecake with fresh Florida strawberries, sugar cookies, and micro-basil. This was a really enjoyable dish. The Cheesecake was actually really creamy and paired wonderfully with the crunch of the sugar cookies. The strawberries lived up to their description as fresh, and the extra glaze gave the entire plate an overarching and penetrating strawberry flavor. We lost the beautiful presentation from last year (second photo), but it’s still a very good dessert and we can recommend it! The Deconstructed Dish offers a fun take on a festival plate. Presentation is top notch and all of the flavors work well. A single hiccup with the preparation of the crispy pork belly isn’t enough to dissuade us from giving the booth a positive review, overall. This is one of the top Food Studios of the 2019 Festival of the Arts. The Deconstructed Dish is a wonderful example of creative presentation and wonderful culinary execution.